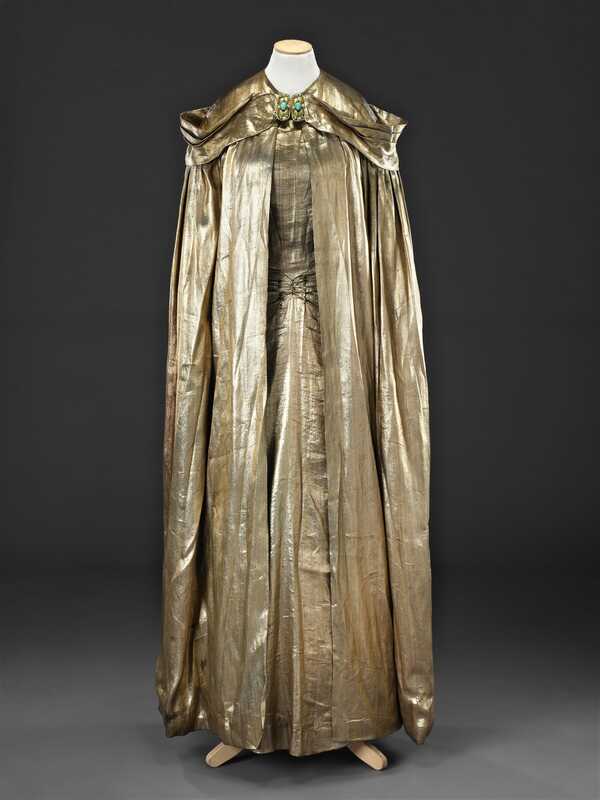 Cloak: lamé, lined with satin; metal clasp with reproduction turquoise stones. This outfit of dress and matching cloak was worn by Constance Kingcombe at her marriage to Henry Ordewer at the West London Synagogue on May 23rd, 1937. 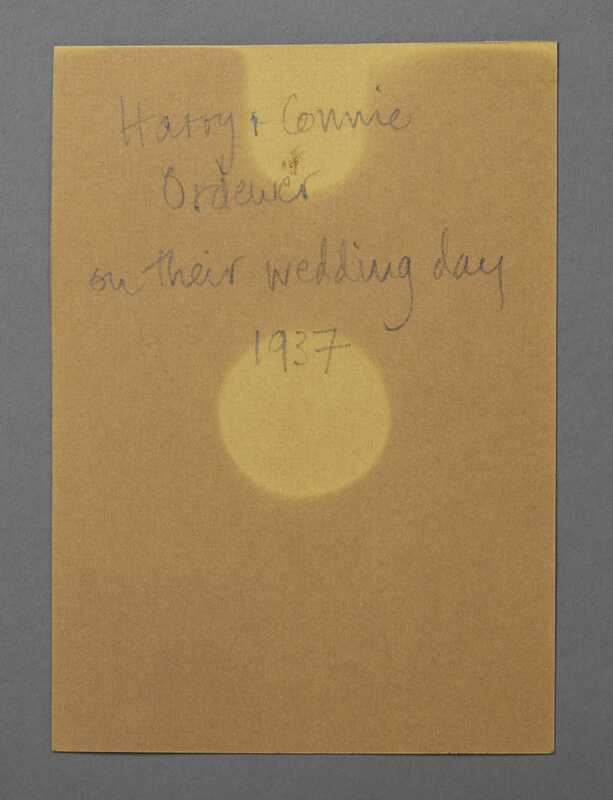 It was acquired, together with a photograph of the bride and groom (see Additional Images) and a copy of the wedding certificate, from the couple’s daughter Loretta. 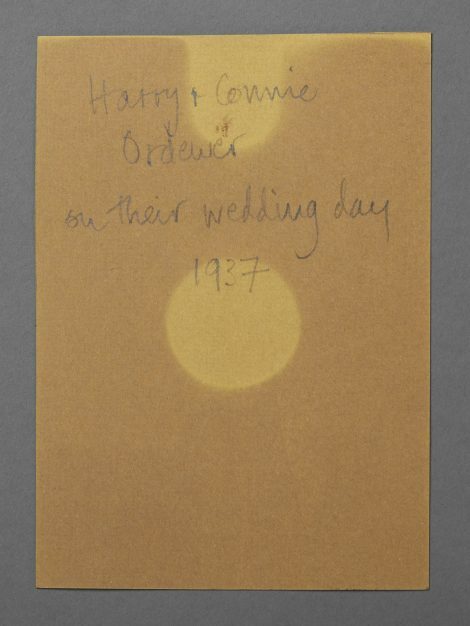 The Ordewers were Russian Jews who had emigrated to the United Kingdom, Harry Ordewer becoming a furrier in the East End of London where many Jewish refugees and emigrés were successful in the garment industry. 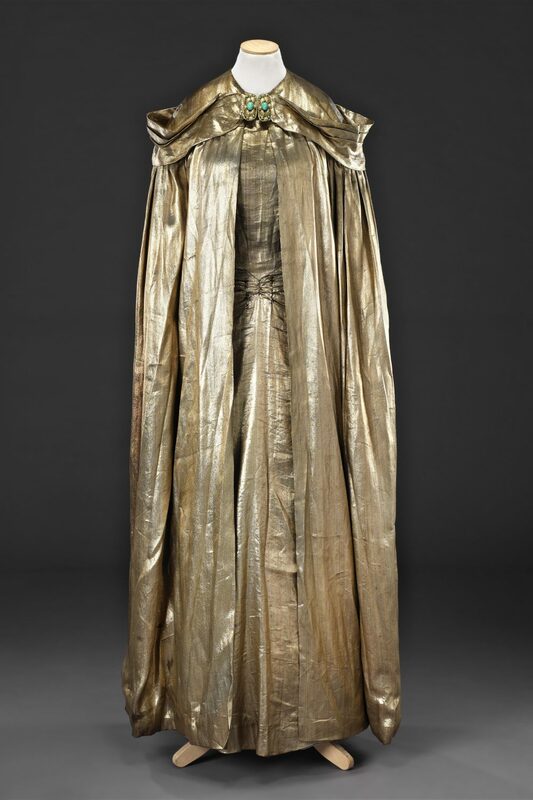 The outfit was made by the bride herself from gold lamé. 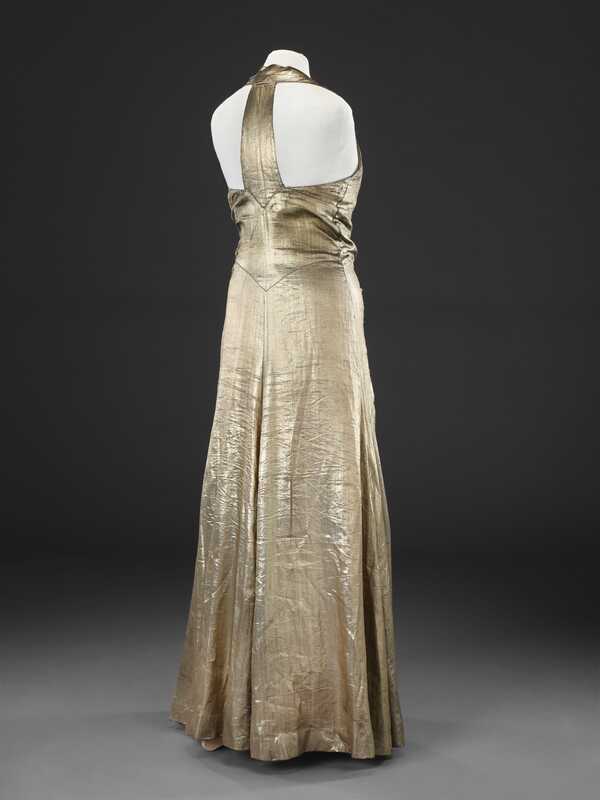 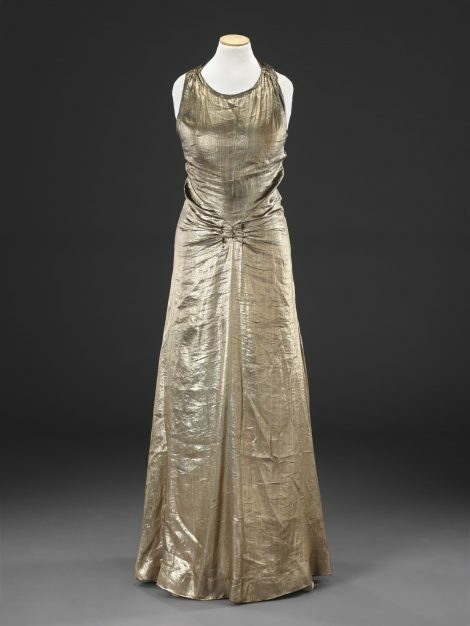 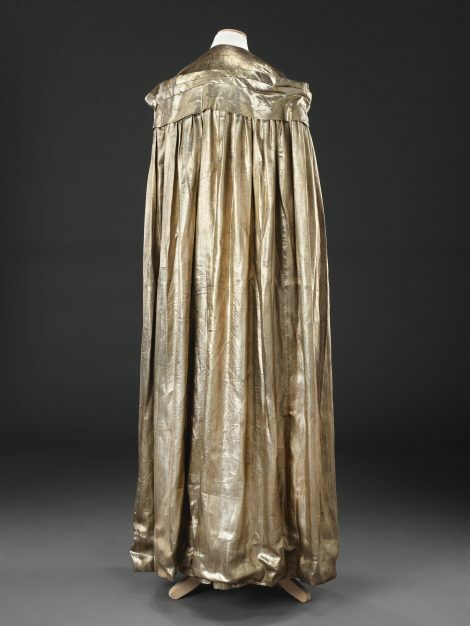 The unlined dress is in the style a contemporary evening dress, exposing her arms, shoulders and back; originally it had a metal clasp at the top of the front of the skirt to match that of the cloak. 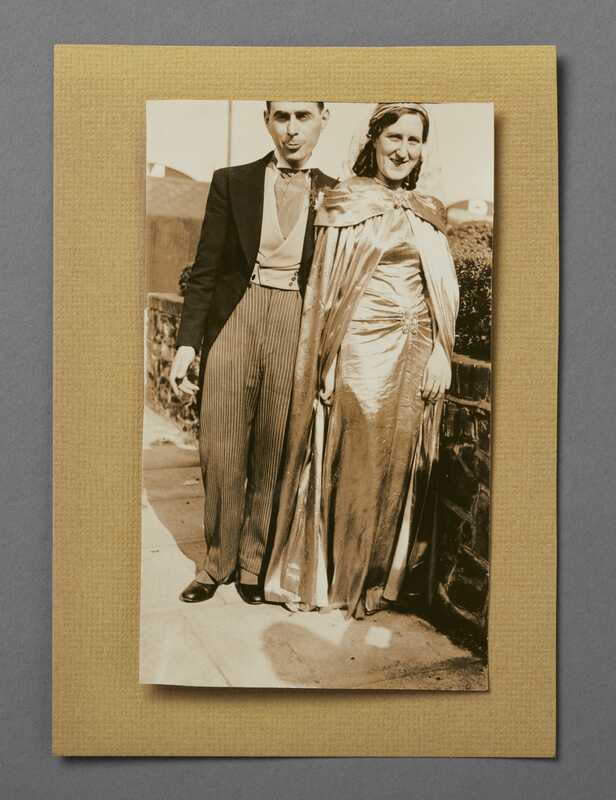 Although wedding dresses were by no means always white, and were frequently made from gold and silver fabrics in the 1920s and 30s, Jewish custom, like that of Christian faith, favoured the wearing of white, long-sleeved gowns with veils to symbolise purity and modesty. 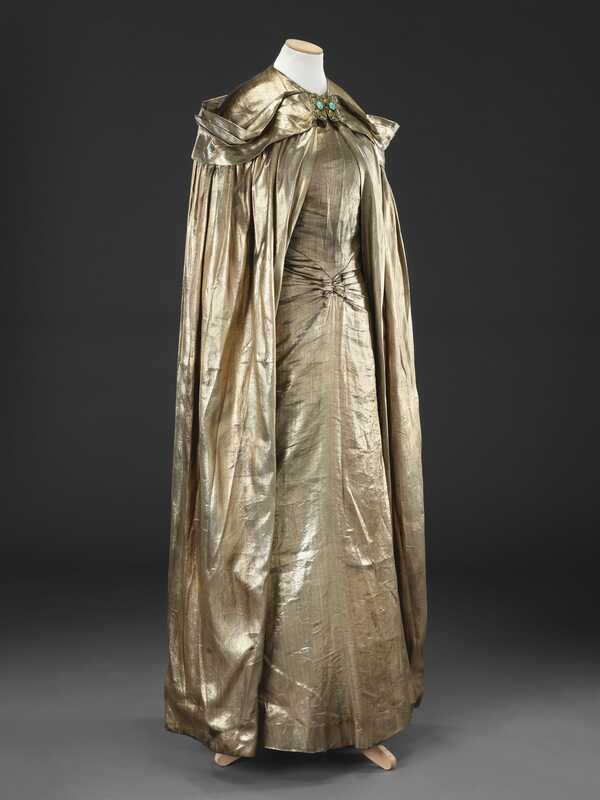 Constance’s choice may, therefore, have been seen as a little eccentric in its exotic theatricality. Harry was dashingly, but conventionally, turned out in a morning coat with up to date broad lapels and well-defined shoulders, striped trousers, double-breasted waistcoat and spotted cravat.